Think of Northern Ireland, and Guinness, food, castles, the Giant’s Causeway, and the Titanic immediately come to mind. But beyond all that, Belfast also has memories of decades of civil war between the Protestants (unionists) and the Catholics (nationalists). 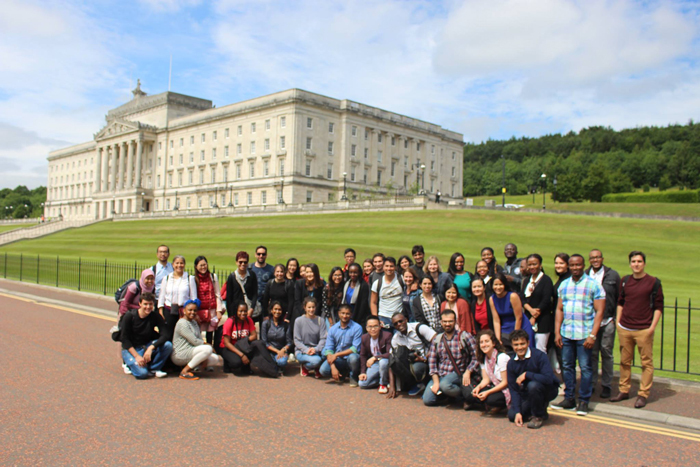 Over fifty Chevening Scholars explored the rich cultural and political history of Northern Ireland. The event was marked with a series of visits, beginning with the exquisite Parliament Buildings (also known as Stormont), designed and constructed around the 1930s. Thereafter, scholars visited the Queens University Museum, which was immediately followed by a presentation from two eminent professors of history and Northern Irish politics, who talked about issues related to identity politics, the Northern Ireland conflict, community stability, and nationalism. The discussion enabled scholars to understand the dynamics of Northern Ireland’s politics and how as a society, it continues to manage these differences and diversities. Dr Dominic Bryan from the School of History, Anthropology, Philosophy, and Politics said: ‘We survive because we work in a social group. And in that sense of being a social group, we also divide’. It is definitely impossible for anyone to understand and explore a history as deep and rich as that of Northern Ireland in a few hours. 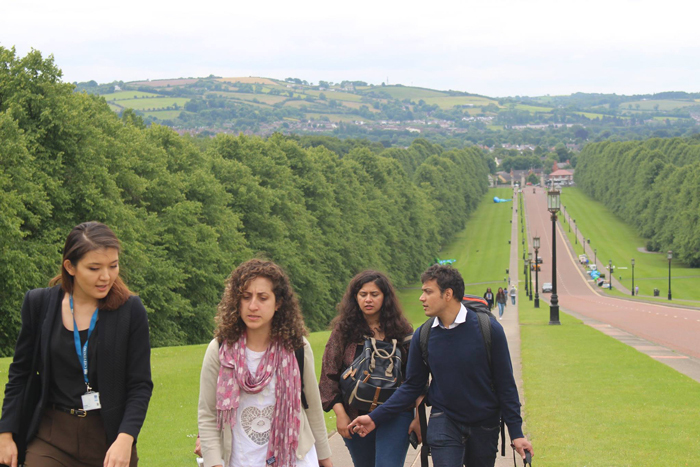 The second day of the tour was therefore marked with hours of walks across the beautiful city of Belfast. Tours were made to different historical sites across the city, including the peace walls, experiencing and listening to those who lived the realities first-hand. According to Nqobani, a Zimbabwean scholar studying at Swansea City University, the experience was insightful and educating, especially on how people build community stability and what these look like in practice. 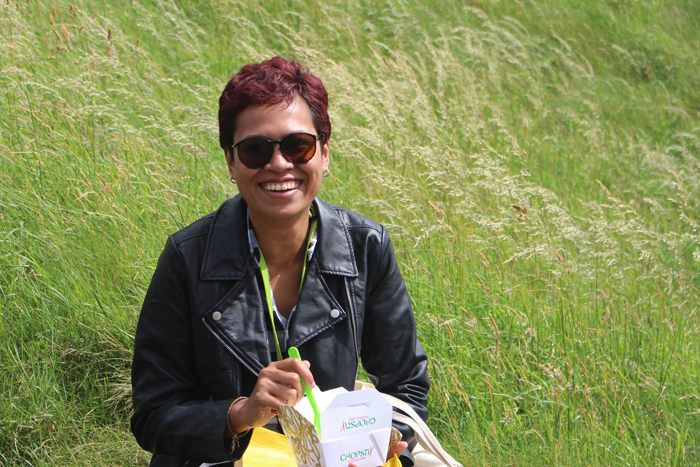 To Mary Ogar, a scholar on placement at the University of Sussex studying an MA in Gender and Development, ‘the experience was fantastic’. 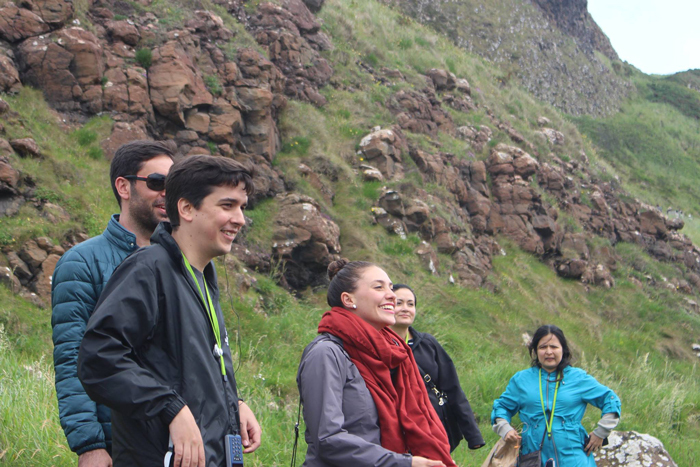 We ended our two days tour with a walk along the Giant’s Causeway, one of the United Kingdom’s greatest heritage sites, made up of beautiful natural landscapes, volcanic features, rocks, and the beautiful ocean.